Retailers use many strategies to get consumers to spend, like Black Friday and Cyber Monday, but two recent reports found that sales can be boosted by something as simple as bike lanes. Though conducted by two different organizations, in different cities, the studies found similar results. "Measuring the Streets" demonstrated that small businesses in New York City near bike lanes “have done very well, especially when compared to borough-wide averages,” the New York City Department of Transportation (DOT), which issued the report, noted. 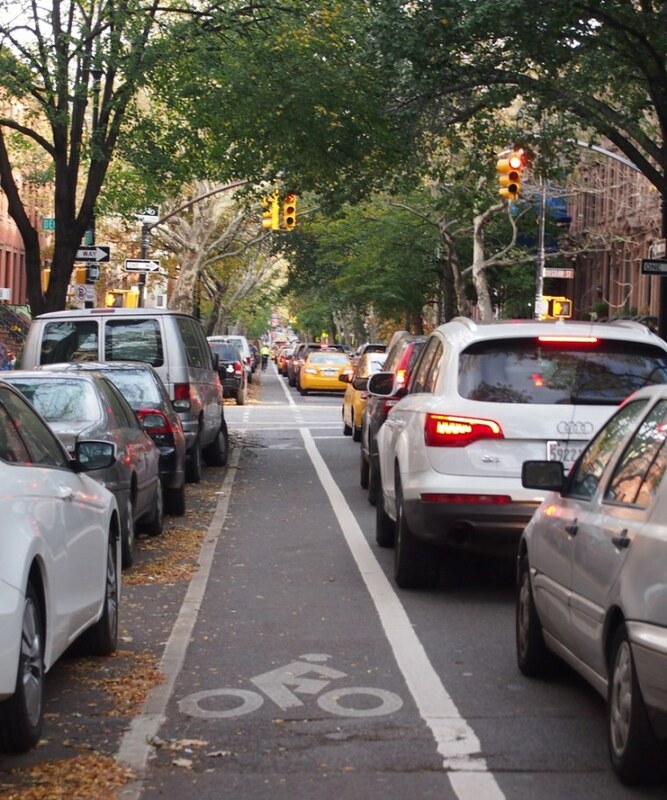 Along Ninth Avenue in Manhattan, for example, sales grew “by as much as 49 percent on portions after DOT installed the city's — and nation’s — first parking-protected bike lanes there in 2007, 16 times the borough-wide growth,” according to the report. A common concern among small-business owners is if car parking is taken away, it will negatively impact sales, but “if public spaces are made more attractive and more vibrant, people will spend money, and businesses will do better,” said Roskowski. “Consumer Behavior and Travel Mode Choices” found that people in the Portland, Ore., metro region who drove to bars, convenience stores and restaurants often spent more money per visit than bicyclists, but bicyclists visited the same venue more often, and spent more overall. Bikes Belong provided a small amount of funding to the Portland study. In addition to the substantial health benefits resulting from the cardiovascular exercise of cycling, “biking can save individuals up to three months’ worth of salary,” that is used to buy, insure, drive, park, repair, and maintain a car. “It’s a tremendous cost for the average American, about $10,000 a year per car," said Pucher, who is co-author of “City Cycling,” published earlier this year by The MIT Press. Cities like Austin, Memphis, Chicago, San Francisco and Washington are also seeing links between economic growth and bicycling trends, Bikes Belong said. Creating bikes lanes and bike parking “is a rational, practical thing to do,” said Roskowski.